Institute of Administrative Sciences (IAS) organized a Ramadan Welfare Program for employees on Friday, 26th May 2017. The ceremony began with the recitation of verses from the Holy Quran. 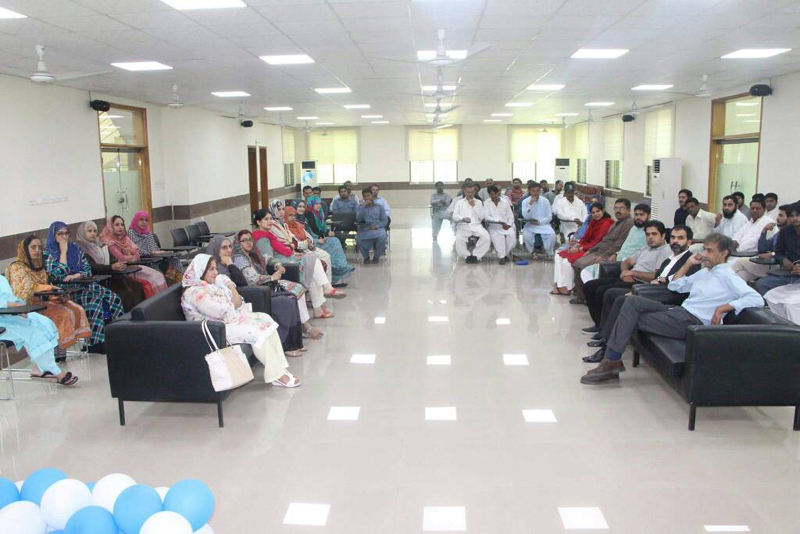 Prof. Dr. Nasira Jabeen, Dean Faculty of Economics and Management Sciences and Director Institute of Administrative Sciences (IAS) addressed the employees, greeting them for the upcoming holy month of Ramadan. She emphasized on the spirit of peace, harmony, affection and brotherhood behind the Islamic principles and urged on its implantation. 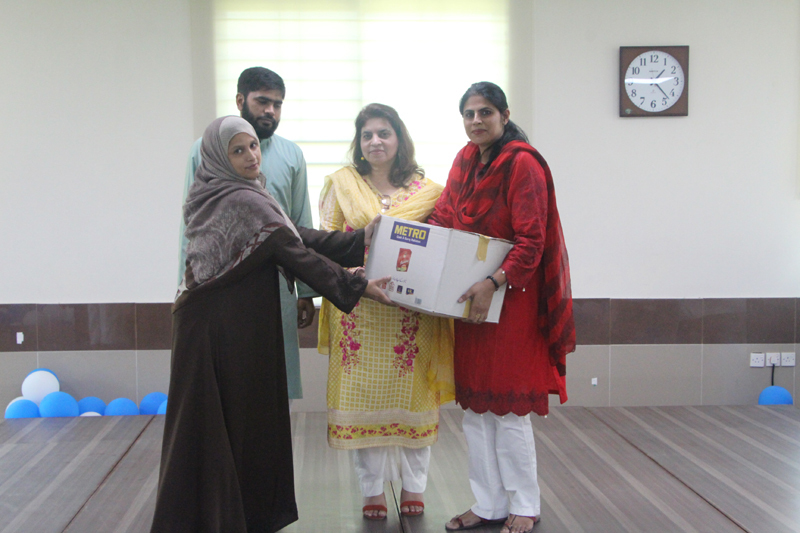 While sharing about the initiative of the welfare program, she thanked the faculty members and dedicated efforts of staff members for joining hands in this noble cause and helped in arranging the event with true spirit of generosity. 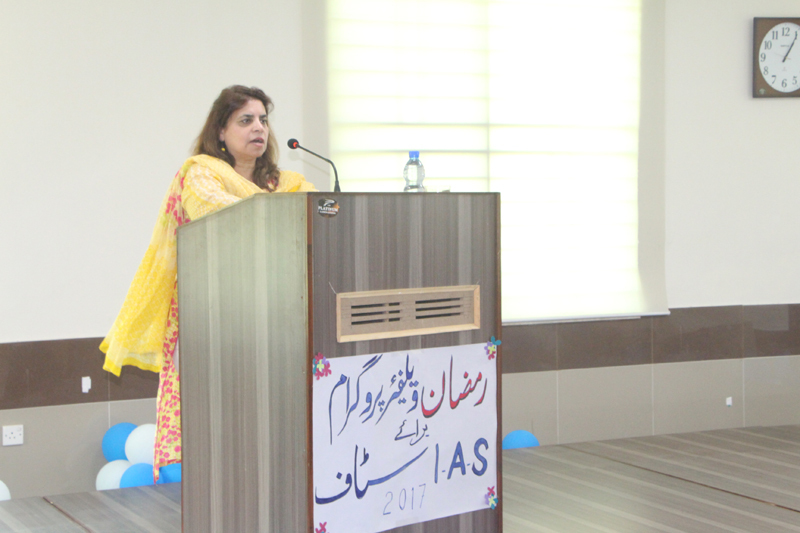 Dr. Khalida Amjad – a senior visiting faculty member shared her thoughts with the audience and delivered a thought provoking talk in view of the holy month of Ramadan and our responsibilities in this regard. She emphasized on practicing the religion to its best in Ramadan and keeping the spirit alive throughout the year. 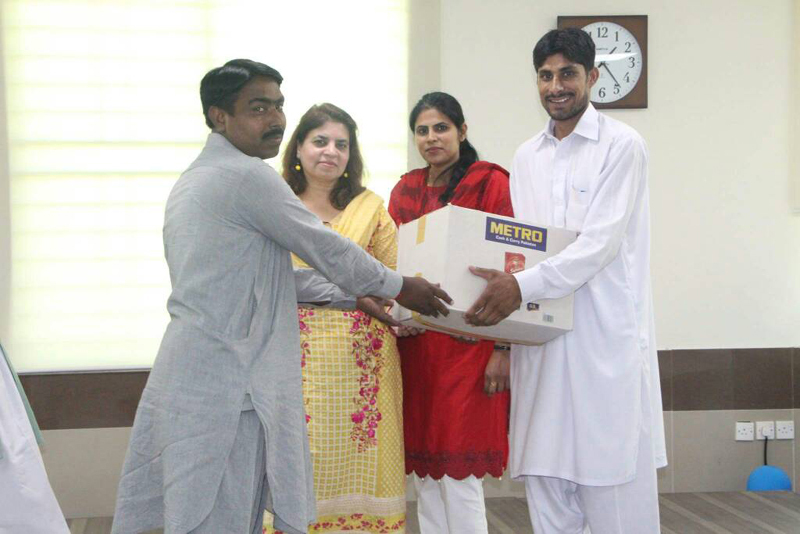 The addresses were followed by distribution of Ramadan gift boxes to 60 employees of IAS by Prof. Dr. Nasira Jabeen – Director IAS, joined by Mr. Shahzad Ahmed Siddiqui – Administrative Officer and Ms. Rifat Umbreen Afzal – Assistant Registrar Administration. Faculty members and staff of IAS were also present.